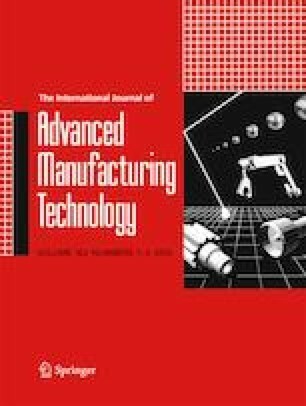 Rotary ultrasonic machining (RUM) has become an effective process for both hole making and surface grinding of carbon fiber reinforced plastic (CFRP) composites. Unlike other brittle materials such as ceramic, glass, silicon, etc., CFRP composites exhibit inhomogeneous and anisotropic properties, thereby resulting in different material removal mechanisms. However, the material removal mechanism in RUM of CFRP is still not clearly recognized in the literature. The lack of such knowledge would significantly limit the optimization and practical applications of RUM technique. In this work, single-grain diamond scratching tests without and with ultrasonic vibration are conducted to study the material removal mechanism in RUM of CFRP. Morphology of scratched groove, cross-sectional profiles, and scratching forces are analyzed. The results indicate that CFRP workpiece is extensively removed by the brittle removal mode, causing matrix damage, severe fiber pull-out, and macro-cracks in the conventional scratching test. Whereas, ultrasonic vibration-assisted scratching of CFRP leads to a larger ductile removal region before the successive brittle fractures and cracks. The fiber-matrix debonding and pullout phenomena are also remarkably reduced with only matrix buckling and fiber breakage occurring within the groove. The obtained results will enrich the understanding of the material removal mechanism in RUM of CFRP and contribute to the improvements of part quality during RUM of CFRP. This work was supported by U.S. National Science Foundation through award CMMI-1538381.